If you are a share holder in a company that is being acquired for a cash settlment, then on take-over your share holding will be sold. After the cash settlement, you will no-longer own shares in the company that was acquired, or the company that acquired your shares. The sale is treated as a normal disposal for Capital Gains Tax purposes. 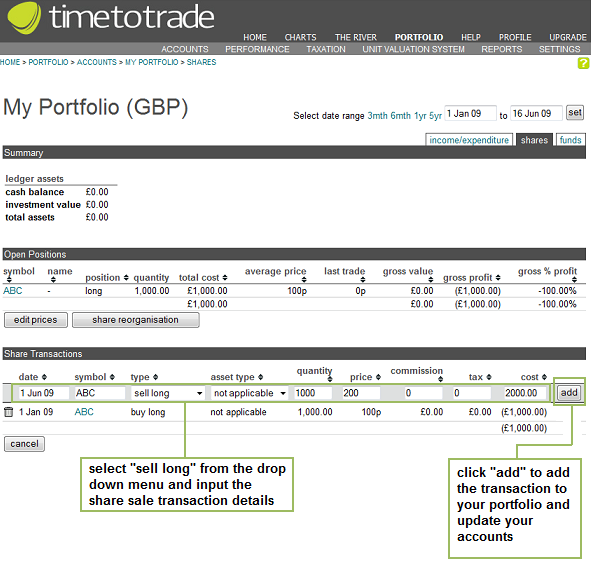 A shareholder buys 1,000 shares in Company ABC plc @ 100 pence per share. Type = transaction type, your shares are being disposed of in return for a cash settlement. 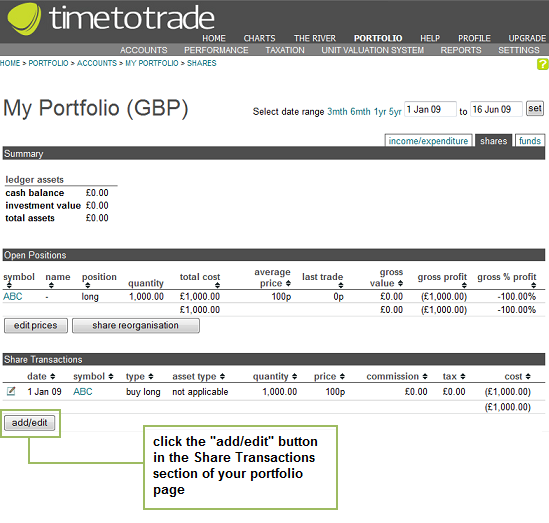 This is accounted for in the same way as a share sale, so select "sell long" from the drop down menu. Quantity = the number of shares you are disposing of. In this instance your entire holding of 1,000 shares in ABC plc is being disposed of. 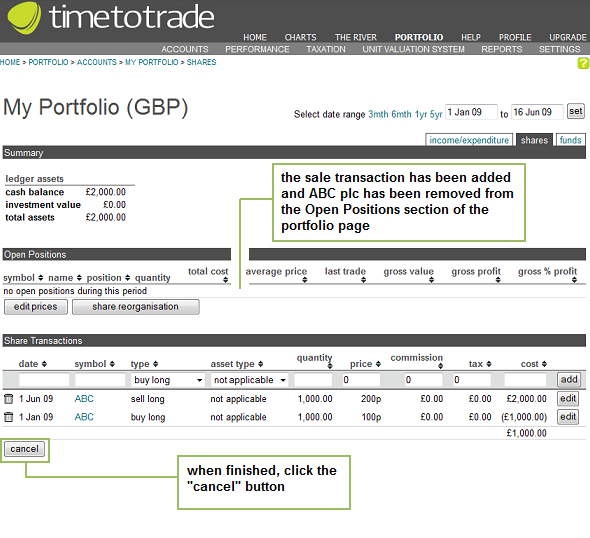 Price = this is the settlement per share, in this case you will receive 200p per share held in ABC plc. You are finished, so click the "cancel" button. 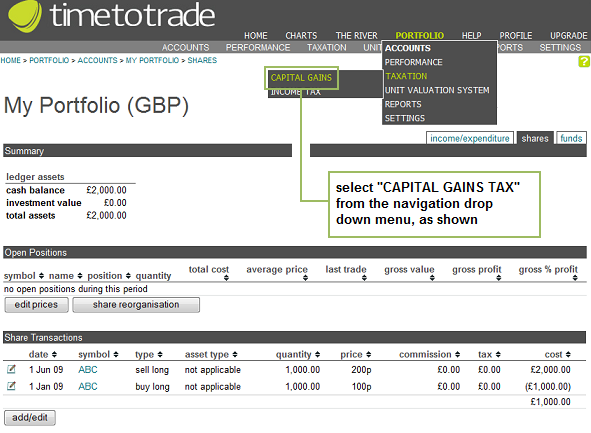 Your portfolio has been updated, so you can now go across to the Capital Gains Tax page - via the drop down navigational menu as shown. 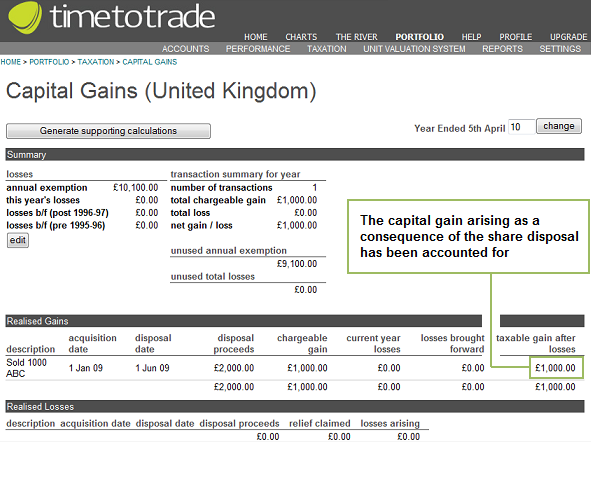 As you can see in the screen shot below, the disposal and cash settlement have been correctly accounted for and as expected has given rise to a taxable gain of £1,000.